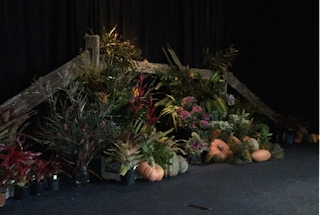 A terrific day was had at the 2018 Garden Clubs of Australia Zone Day where almost 90 members from eight affiliated clubs were in attendance. Keryn Rodham (who was the then Zone Coordinator) instigated this day of friendship in 2012. 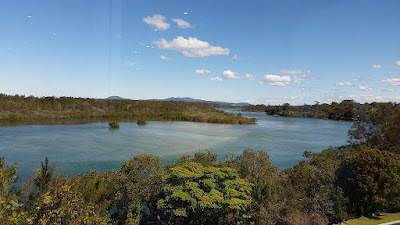 Keryn was the Secretary of Woolgoolga Garden Club at the time and the first of these days, held in Woolgoolga was a resounding success. Every two years since then there has been a dedicated day of friendship for affiliated clubs from the Mid North Coast Region of Garden Clubs of Australia (GCA). 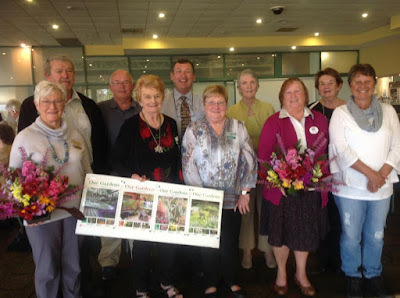 Woolgoolga Garden Club, Coffs Harbour Garden Club, South West Rocks Garden Club and this year, the Nambucca Valley Garden Club played host at the RSL at Nambucca. You have to agree that this is the most stunning view of the river and what a backdrop for the day! 'The Vallarinas' dance troupe, showed us all how to keep in shape as we age - they have the best legs! Such fun, including a very amusing rendition of 'He's Got You', this really bought the house down! 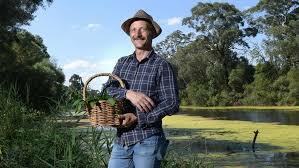 Libby Ussher, is a presenter on Mid North Coast ABC radio and hosts the gardening show of a Saturday. 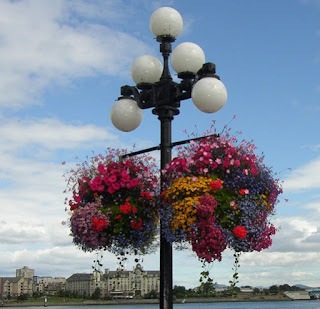 Recently Libby travelled to Canada (in particular Victoria BC) and she was blown away by the beautiful hanging baskets found throughout Victoria. The practice to hang these during summer was introduced in 1937 to mark the 75th anniversary of the City of Victoria's incorporation. It has now become a trademark which is recognised throughout the world. The baskets are placed every June, signaling the start of summer and remain until late September. After their removal all the hardware is cleaned off to be reused the following summer. Libby visited the Butchart Gardens, which she found just stunning, however it was the hanging baskets that inspired her to make her own versions at home. The city waters the hanging baskets every night throughout the summer, baskets in exposed areas are watered 6-7 times per week, whereas baskets in sheltered locations are watered 4-5 times per week. President Garden Clubs of Australia, George Hoad, along with Glenys Bruun director of Zones were present at the function. George gave a very good overview of what the Garden Clubs of Australia actually do (also entertained the crowd with some songs) and Glenys spoke about the importance of Zone Coordinators and their role within GCA, she also gave information about the backgrounds of the GCA committee and how they all bring something individual to the committee. The very talented President of Nambucca Valley Garden Club, Garry Miles set the stage with this wonderful display (my photo really doesn't do justice to it) such talent! The table centrepieces were so cute - floral decorations set in a cup and saucer, these formed part of a silent auction and there was also a bucket passed around to aid drought relief in western NSW - there was well over $1000 raised from donations (and the auction) within the room, an outstanding achievement indeed. We look forward to the next 'Friendship through Gardens' day to be held in 2020 in Woolgoolga.